The Darkness are a huge local rock band whom I love (thanks Jake for getting hubby& I on the guest list when the tickets sold out in seconds on their last tour). This was a quick “thank-you” bodypaint on Gracie. 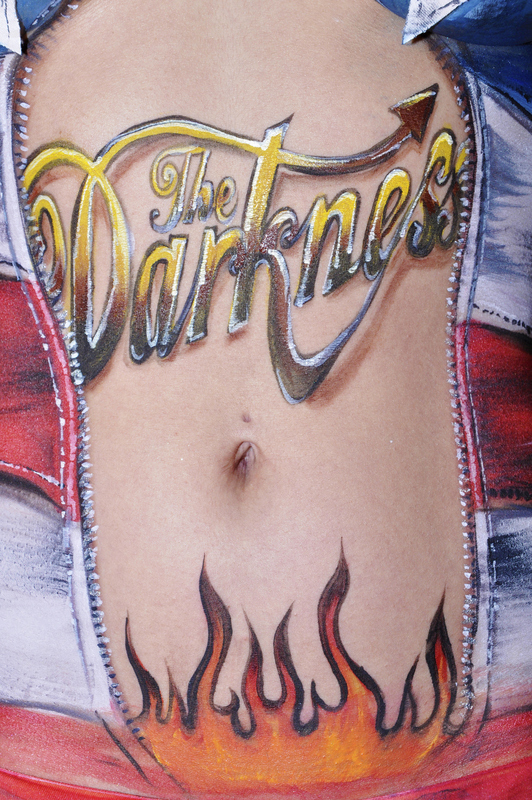 I partially stencilled on some of Justin Hawkin’s iconic Darkness logo as a tattoo, and I based her painted clothes on some of his more famous costumes. David Cook took all the photos. We sent this to them as a thankyou for something that might be going on in 2015… watch this space!